Water wave textured hair weaves have a wave pattern that's more pronounced that body wave weave hair due to the waves being closer together. As there are so many variations of wave patterns in weave hair, it's hard to say with any degree of accuracy whether this is the third, fourth or fifth waviest texture for weave hair (our arbitrary way of calculating these things leads us to think it's around the number three spot... but that's just us). 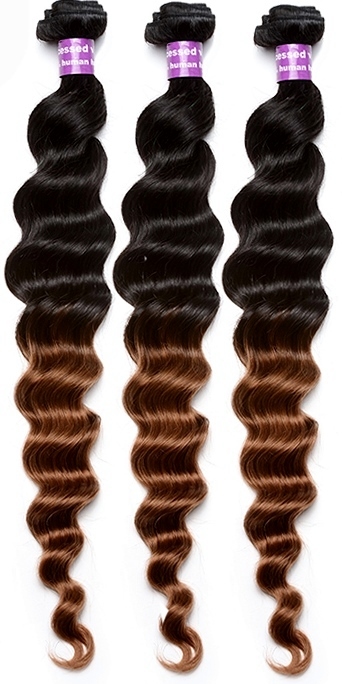 Who Can Wear Water Wave Hair Weaves? The water wave texture is another great look that can be worn by absolutely everyone. Much like the beloved body wave texture, the luscious loose wave textures, the wonderful water wave texture is what could be deemed an all-inclusive texture, so whatever your natural hair texture you can wear this weave with worry. The central appeal of the water wave pattern is its definition. The wave patterns in weave hair (and other hair extensions, wigs and hairpieces) are created with the use of rods. As different manufacturers use different sized rods, this means that there are different sized water wave weaves on the market. All of this goes to say that when buying weave hair online check the listing description and images as not all retailers allow hair extensions to be returned. We think you know the drill by now, but if you don’t, read on! 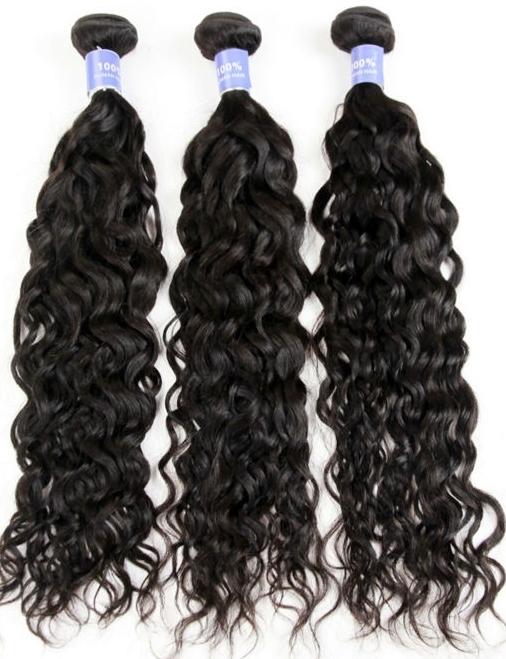 You can find a variety of lengths for water wave weave hair from 8-28 inches and more...if you look... look... look a bit more... keep looking and don't stop until you find them.... and they can be found. When considering which length to choose, it might help to choose the length according to the final cut and style of your new 'do (as in hairdo). Weave hair savants will know that weave hair is available as remy weave hair and non-remy weave hair and believe it or not, "no-tangle non-Remy" (that's what the manufactures call it... we saw the ads). Water wave weave hair (that's a tongue twister) comes in solo bundles as well as sets of multiple bundles of different lengths... and if you're wondering why different lengths might be useful, then check out the guide about making a wig from weave hair, as this better shows how different lengths can create layers or one overall weave hair length. All the staple colours show up for weave hair, everything from jet black to platinum blonde (including off black, dark browns, chestnut browns, honey browns, honey blondes, caramel blondes, strawberry blondes, platinum blonde, coppers and auburns). In addition there are colours that could be termed non-staple-but-still-necessary like purples, dip-dyes, greens, ombre, pastels, T-colours, blues, highlights, greys and many others. For an overview of daily styling, combs and brushes for weave hair, peruse Peruke’s Caring for Weave Hair Guide and use the following five top tips to get started. 1. As the weave hair has been chemically treated to achieve its texture, it's better to use a shampoo for chemically treated hair when you wash your weave hair and either use a leave-in conditioner or deep condition to repair and strengthen the hair. 2. As the hair has been chemically treated to achieve texture, it's better limit the use of heat straighteners as frequent use can sometimes distort the overall wave pattern. 3. The hair should be moisturised regularly with a light moisturizer that's free from mineral oils. 4. If the ends become dry then using hair oil that nourishes the weave hair on damp hair should smooth and hydrate the hair. 5. As always, glue-in weave hair can be cleaned using a dry shampoo and hair extension products shouldn't be used anywhere near the glued tracks as they can cause the glue to become sticky which could mean the matting of your growth hair. Let's call that a wrap on the wander through water wave weave hair! There's more info about weave hair at our Hair Extension Q&A section and you can join our blog to keep up to date with the next guide about wigs, hair extensions (including weave hair) and hairpieces.